For all the pain multiple sclerosis has caused their families, the unpredictable autoimmune disorder has helped Morgan Goldman and Erika Peterson, too, in a way. They've found encouragement and motivation in their parents' handling of the disease. Now, with the help of college scholarships won from the Greater Carolinas Chapter of the National Multiple Sclerosis Society, supported by the Golden Corral MS Scholarship Fund, they're preparing to add to the lessons they've learned early in life to better help others. "My mom has MS, and I've seen how badly her MS affects her daily. However, my mom is always the first to make a meal, donate clothes or volunteer her time to people who are suffering," said Peterson, a Greer Middle College Charter High School graduate who's received $5,000 toward her studies of Youth, Family and Culture at Columbia International University. Peterson graduated high school with a 3.94 grade-point-average while serving in a choir, playing piano during services and teaching Sunday school for her church's Hispanic ministry. She plans to work with at-risk youth after college or start a nonprofit organization to help victims of human trafficking. "My passion for serving others in need has come from a lifetime of not only helping others, but also being helped," Peterson said. Goldman plans to pursue a career in business or medicine after graduating from Clemson University. The Greer resident has received $3,000 for her studies through the MS scholarship fund. She graduated at the top of her class at Shannon Forest Christian School while playing volleyball and soccer, and she's volunteered for several causes, including the Special Olympics, Greenville Literacy Association and her church's nursery. She credits her father, who's battling MS, with helping fuel her drive. "Seeing my dad struggle and overcome his adversity has been an inspiration for me and has had a positive impact on my life," she said. 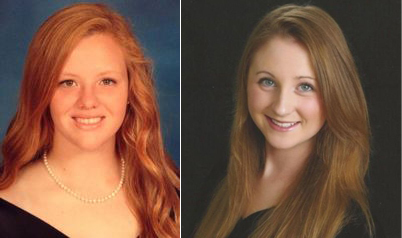 Goldman and Peterson are two of 41 students who have MS or a parent with MS who've been awarded scholarships by the Greater Carolinas Chapter of the National Multiple Sclerosis Society. Golden Corral restaurants and the North and South Carolina-based chapters of the National MS Society have partnered on the scholarship initiative since 2011, because the toll MS can take on families is more than emotional. Officials say the direct and indirect costs of MS – including lost wages and considering insurance coverage – can eclipse $69,000 annually and $3 million per family over a lifetime. MS affects more than 2.3 million people worldwide. Most people with MS are diagnosed between the ages of 20 and 50, and more than two times as many women are diagnosed than men. Advances in research and treatment are moving the world closer to being free of MS, though, according to the National MS Society.